As the summer ends, we’re seeing incredibly hot temperatures here in Maryland. Take a minute to think about how your trees feel during all of this heat. As the summer ends, we’re seeing incredibly hot temperatures here in Maryland. Take a minute to think about how your trees feel during all of this heat. Here is some advice on how to make sure your trees can survive this heatwave. The trees around your home are living beings, just like you, your family, and your pets. They also need as much water as possible. Dehydrated trees start to show signs of sickness more easily than dehydrated humans or animals. So, with that in mind, be sure to give your trees the water they need. It may be tempting to overwater them during the summer heatwave, but that would be a bad idea. Brand new trees, for instance, need twice the normal amount of water. Older trees will last longer, but you still need to take care of them. You’d feel much better sitting in the shade with a tall glass of lemonade and the latest summer read. Your trees would appreciate some shade too. For the time being, cover up any trees you feel are vulnerable. This way, you can protect their leaves and crowns. But once the heat wave is gone, you’ll need to take down all of the extra shade you’ve given. After all, that dogwood tree and those shrubs will need time to bounce back and adjust, and if you shade them too much when you don’t need to, you could accidentally slow their growth. Lastly, you will need to ensure that every single tree you own is well-maintained. Even if that tree you want to save was hit by lightning, the stump could eventually regenerate. Call on the experts at Nelson Tree Specialist to help you out with whatever tree care questions and concerns you have! Nelson Tree Specialist provides specialty arborist services, tree crane services, tree care services, and dead tree removal services. We are well known for our top-notch skills and professionalism. 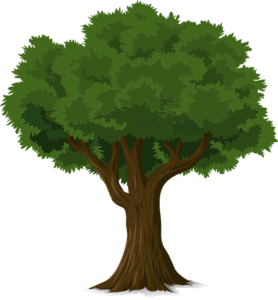 We are members of the International Society of Arboriculture, and we are considered certified arborists. We are also an accredited business through the Better Business Bureau, and we have great reviews through Angie’s List. To find out how we can help your trees, whether they are exotic and strange or normal and plan, give us a call at (301) 854-2218 (Washington, D.C.) or (202) 909-5662 (Baltimore) or visit us online. For more interesting tree facts and tips, follow us on social media on Facebook, Twitter, and Google+. This entry was posted on Friday, August 31st, 2018 at 9:33 pm. Both comments and pings are currently closed.